This session will discuss the importance of building the proper strategic foundation for your L&D program. Strategy will be introduced as more than “the plan,” more than the presentation and more than the meeting. Participants will learn that proper strategy design is the basis for a successful L&D framework for the entire organization. Strategy is the backbone of organizational success, employee development and retention activities. And it starts with buy-in. 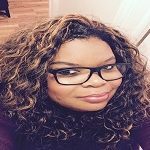 Tiffany McLean is a learning and development professional with over 15 years’ experience working with medium size corporations to help them increase employee engagement by being a tactical business partner with a high interest in talent development. Her areas of expertise include facilitation, instructional design, change management, strategic alignment and leadership development. Being an advocate for employee development along with having a passion for understanding the necessity for alignment to business goals drives Tiffany to create an environment where learning is embraced and nurtured and employee engagement increases. Tiffany is a regular contributor to ATD Links where she shares her experiences in the learning and development space. She also has a passion for aligning diversity and inclusion efforts into the L&D initiatives. Tiffany holds a bachelor’s degree in industrial-organizational psychology from Loyola University Chicago. Tiffany is currently the learning and development manager at General RV Center where she develops learning strategy for more than 1500 employees in six states and 12 locations.